Rakhine State is a real land where Buddhism has promoted and propagated. With the aim of ensuring the eternal existence and flourishing of Buddhism and encouraging the emergence of monks who will perform duties of Pariyatti and Patipatti Sasana, the families of Tatmadaw (Army, Navy and Air) and well-wishers donated Sasana Beikman in the compound of Lawkanada Pagoda in Sittway. Commander-in-Chief of Defence Services Senior General Min Aung Hlaing attended the opening of Sasana Beikman and opened it this morning. The ceremony was attended by the monks led by State Ovadacaria Sayadaw, Presiding Sayadaw of Dakhinaryarma Monastery in Sittway, Agga Maha Pandita, Agga Maha Saddhamma Jotikadhaja Bhaddanta Canda and Chairman of State Sangha Nayaka Committee patron of Dhammathukha Monastery in Sittway Agga Maha Ganthavacaka Pandita Bhaddanta Soma, Commander-in-Chief of Defence Services Senior General Min Aung Hlaing and wife Daw Kyu Kyu Hla, Commander-in-Chief (Navy) Admiral Tin Aung San, Commander-in-Chief (Air) General Khin Aung Myint, senior military officers from the Office of the Commander-in-Chief (Army), Western Command Commander Brig-Gen Soe Tint Naing, officials from Rakhine State government and State parliament, well-wishers, invited guests, town elders and guests. 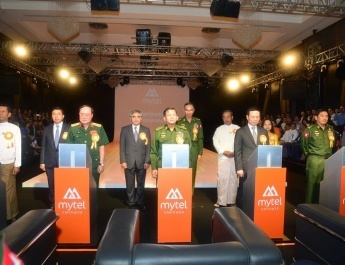 First, Western Command Commander Brig-Gen Soe Tint Naing, Rakhine State Social Affairs Minister Dr. Chan Tha and townselder U Maung Tun Kyaw cut the ribbon to open the Sasana Beikman. 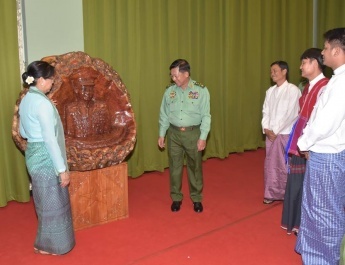 Afterwards, Commander-in-Chief of Defence Services Senior General Min Aung Hlaing pressed the button to open the stone inscription and the banner of Sasana Beikman and sprinkled scented water on them. After that, the Senior General offered alms, fruits, flowers and water to the Buddha image in the Sasana Beikman. Then, the Senior General and attendees took Five Precepts from State Ovadacaria Sayadaw Presiding Sayadaw of Dakhinaryarma Monastery in Sittway, Agga Maha Pandita, Agga Maha Saddhamma Jotikadhaja Bhaddanta Canda and heeded the Metta Sutta recited by monks. 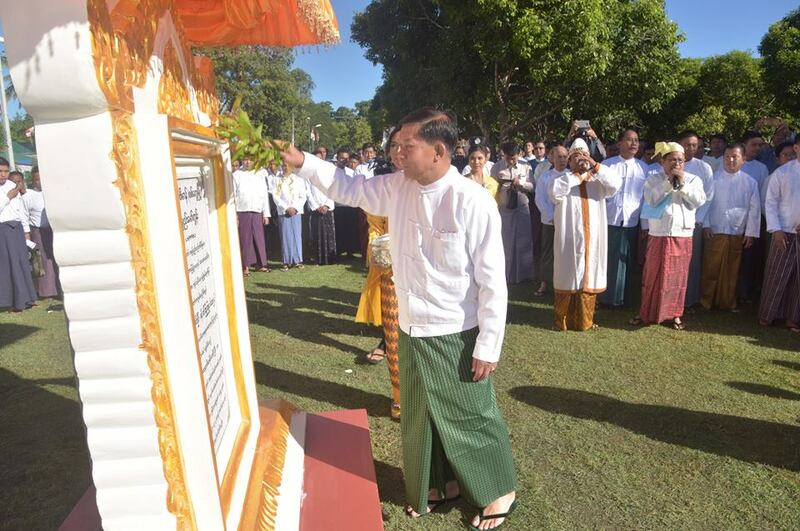 Commander-in-Chief of Defence Services Senior General Min Aung Hlaing and wife Daw Kyu Kyu Hla donated the Sasana Beikman to the State Ovadacaria Sayadaw. After that, the Senior General and wife and those present donated offertories to monks. 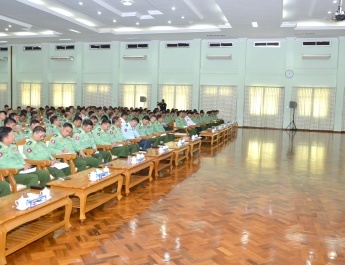 Maj-Gen Maung Maung Myint, director of Directorate of Military Engineers made supplication about the donation of Sasana Beikman. After that, Quartermaster-General Lt-Gen Nyo Saw handed over documentary photos and documents related to the Sasana Beikman to the head of Rakhine State Religious Affairs Department and presented cash award to Danyawady Ngwe Tin Pyae Company which built the Sasana Beikman. Then, the Senior General, wife and those present at the ceremony took a sermon delivered by Chairman of Rakhine State Sangha Nayaka Committee Presiding Nayaka of Dhammathukha Monastery from Sittway Agga Maha Ganthavacaka Pandita Bhaddanta Soma and shared merits gained. Next, members of the Sangha consecrated the bronze Buddha image to be kept at Buddha Chamber upstairs of Sasana Beikman. Afterwards, the Senior General, wife and party offered meals to members of the Sangha. Construction of Sasana Beikman started in the precinct of Lawkananda Pagoda in Sittway in 2010 but it was suspended due to various reasons in 2011. During the tour of Sittway in July 2016, the Senior General received the advice of the Chairman Sayadaw of Rakhine State Sangha Nayaka Committee. 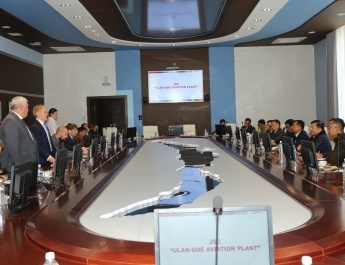 In accord with the guidance of the Senior General, the Directorate of Military Engineers created the design and supervised construction of Sasana Beikman by Danyawady Ngwe Tin Pyae Construction Co. The construction started in November 2016 with Ks-1,500 million donation of families of Tatmadaw (Army, Navy and Air) and well-wishers. The two storey reinforced concrete Beikman is 171 feet long, 72 feet wide and 31 feet high. 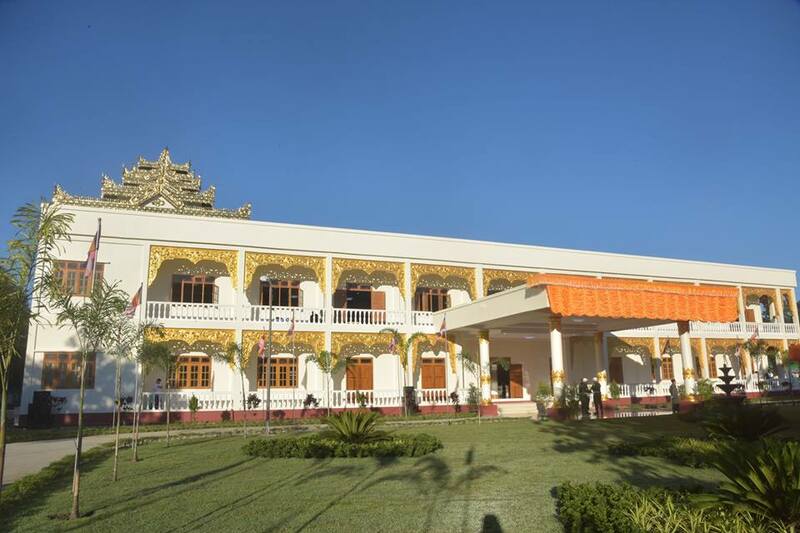 The building can give accommodation to about 500 members of the Sangha in religious examination and give seats to more than 800 audiences for religious ceremonies. Thanks to the building, religious examinations for members of the Sangha and other religious ceremonies will be held in a smooth process. Afterwards, a ceremony to install the glass cover donated by Senior General Min Aung Hlaing, wife Daw Kyu Kyu Hla and family for Cakka Muni Buddha Image took place at Aung Cakka Muni Ordination Hall. First, the Senior General offered flowers, water and oil lights to the Buddha image. 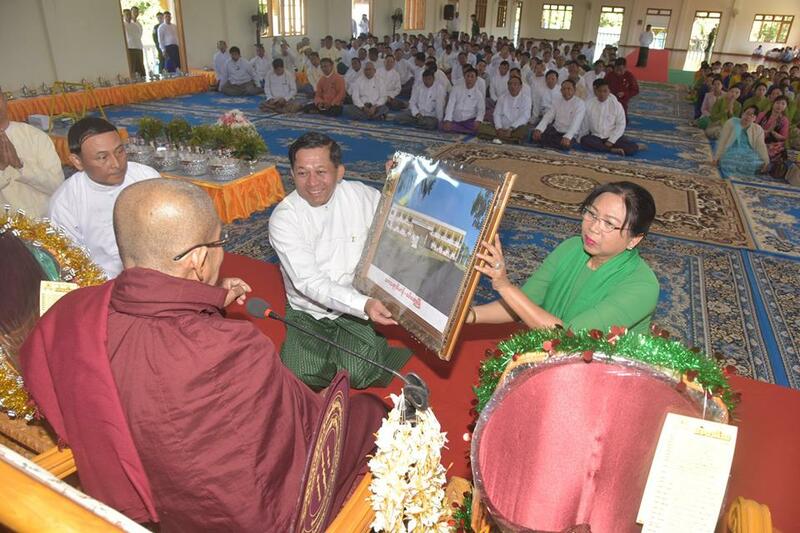 Next, the Senior General and wife offered the glass cover to be installed at Cakka Muni Buddha Image to the Chairman Sayadaw of State Sangha Nayaka Committee and donated cash for the nine pre-requisites. Then, the glass cover was installed at the Buddha image. After that, the Senior General, wife and party took a sermon delivered by the Chairman Sayadaw of the State Sangha Nayaka Committee and shared merits gained. Cakka Muni Buddha Image was magnificently made with wonderful bronze casting works in King Candasuriya of Third Danyawady era. The Senior General, wife and family donated a glass cover for the Buddha image with the purpose of protecting the image against natural disasters and of long term existence. The acrylic glass cover is 26 inches in diameter, 36 inches in height and 0.78 inches in thickness, weighing 56.7 kilograms. The Senior General and party paid homage to the Buddha image in the precinct of Lawkananda Pagoda, and the Senior General and wife signed the visitors’ book of the pagoda. The Senior General and wife donated cash to the fund of the pagoda through the pagoda board of trustees. After viewing requirements of all-round renovation tasks at the pagoda, the Senior General gave necessary instructions to officials.